It was a busy 4 days at CommunicAsia 2013 in Marina Sands, Singapore, from June 18 to 21. We received visitors from Thailand, Philippines, Indonesia, India, Bangladesh, Singapore, Sri Lanka, Malaysia, Australia, Vietnam, Cambodia, South Korea, China and Japan. 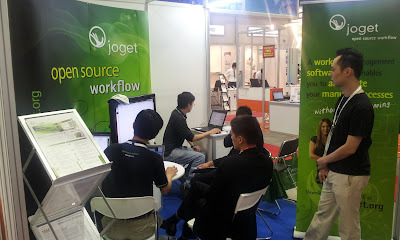 Thanks for taking the time to come over and letting us share Joget Workflow with you. Cheers! Here are some photos of the visitors at our booth.